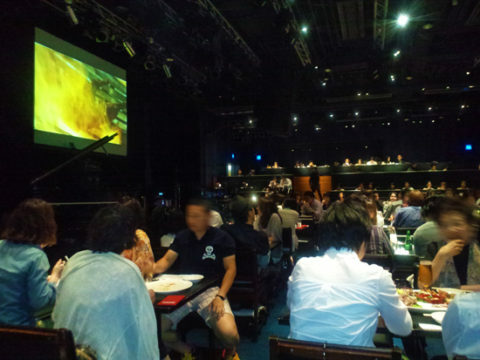 We went to Billboard live Osaka to listen to indigo Jam unit. The unit consists of unique members. Electric wood base which makes Extremely thick sounds, piano, drums and “percussion & drums”. Members entered the stage with silence, and suddenly extremely thick wood base’s sound started which makes us exciting just like expecting some kind of festival is starting. Then drums and percussion join and finally piano started dancing with them. All of sudden, I noticed I am always smiling and got into the rhythm with my entire body. They responded to our encore and played 2 extra songs and they were happiest encore I’ve ever listened. It was a happy 1.5 hours of listening not by my ears but my entire body. I wrote before on this blog as some beautiful phenomenons are always happening somewhere in this world. It has been a while since last time I listened to the live music, people are creating such a beautiful moment somewhere in this world. The night was wonderful and taught us we have to seize such days.